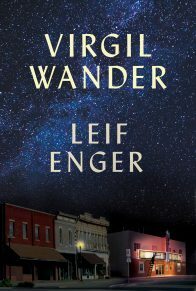 Leif Enger’s debut is an extraordinary novel–an epic of generosity and heart that reminds us of the restorative power of great literature. The story of a father raising his three children in 1960s Minnesota, Peace Like a River is at once a heroic quest, a tragedy, a love story, and a haunting meditation on the possibility of magic in the everyday world. Raised on tales of cowboys and pirates, eleven-year-old Reuben Land has little doubt that miracles happen all around us, and that it’s up to us to “make of it what we will.” Reuben was born with no air in his lungs, and it was only when his father, Jeremiah, picked him up and commanded him to breathe that his lungs filled. 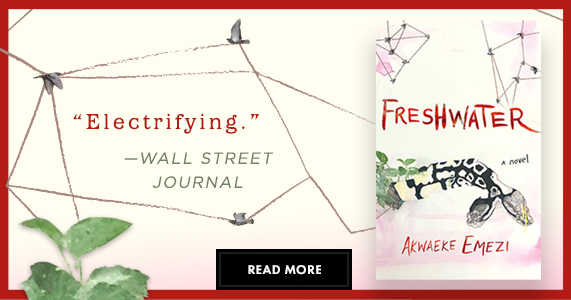 Reuben struggles with debilitating asthma from then on, making him a boy who knows firsthand that life is a gift, and also one who suspects that his father is touched by God and can overturn the laws of nature. The quiet Midwestern life of the Lands is upended when Davy, the oldest son, kills two marauders who have come to harm the family; unlike his father, he is not content to leave all matters of justice in God’s hands. The morning of his sentencing, Davy–a hero to some, a cold-blooded murderer to others–escapes from his cell, and the Lands set out in search of him. Their journey is touched by serendipity and the kindness of strangers–among them a free spirit named Roxanna, who offers them a place to stay during a blizzard and winds up providing them with something far more permanent. Meanwhile, a federal agent is trailing the Lands, convinced they know of Davy’s whereabouts. With Jeremiah at the helm, the family covers territory far more extraordinary than even the Badlands where they search for Davy from their Airstream trailer. Sprinkled with playful nods to biblical tales, beloved classics such as Huckleberry Finn, the adventure stories of Robert Louis Stevenson, and the westerns of Zane Grey, Peace Like a River unfolds like a revelation. FROM MY FIRST BREATH IN THIS WORLD, ALL I WANTED WAS A GOOD SET OF lungs and the air to fill them with–given circumstances, you might presume, for an American baby of the twentieth century. Think about your own first gasp: a shocking wind roweling so easily down your throat, and you still slipping around in the doctor’s hands. How you yowled! Not a thing on your mind but breakfast, and that was on the way. When I was born to Helen and Jeremiah Land, in 1951, my lungs refused to kick in. My father wasn’t in the delivery room or even in the building; the halls of Wilson Hospital were close and short, and Dad had gone out to pace in the damp September wind. He was praying, rounding the block for the fifth time, when the air quickened. He opened his eyes and discovered he was running–sprinting across the grass toward the door. I had, in fact, been delivered some minutes before. My mother was dazed, propped against soggy pillows, unable to comprehend what Dr. Animas Nokes was telling her. To this day I’m glad Dr. Nokes did not hand me over on demand. Tired as my mother was, who knows when she would’ve noticed? Instead he laid me down and rubbed me hard with a towel. He pounded my back; he rolled me over and massaged my chest. He breathed air into my mouth and nose–my chest rose, fell with a raspy whine, stayed fallen. Years later Dr. Nokes would tell my brother Davy that my delivery still disturbed his sleep. He’d never seen a child with such swampy lungs. When Dad skidded into the room, Dr. Nokes was sitting on the side of the bed holding my mother’s hand. She was wailing–I picture her as an old woman here, which is funny, since I was never to see her as one–and old Nokes was attempting to ease her grief. It was unavoidable, he was saying; nothing could be done; perhaps it was for the best. Dad leaned down, laid me back on the table, took off his jacket and wrapped me in it–a black canvas jacket with a quilted lining, I have it still. He left my face uncovered. The truth is, I didn’t think much on this until a dozen years later–beyond, of course, savoring the fact that I’d begun life in a dangerous and thus romantic manner. When you are seven years old there’s nothing as lovely and tragic as telling your friends you were just about dead once. It made Dad my hero, as you might expect, won him my forgiveness for anything that he might do forever; but until later events it didn’t occur to me to wonder just why I was allowed, after all, to breathe and keep breathing. The answer, it seems to me now, lies in the miracles. Let me say something about that word: miracle. For too long it’s been used to characterize things or events that, though pleasant, are entirely normal. Peeping chicks at Easter time, spring generally, a clear sunrise after an overcast week–a miracle, people say, as if they’ve been educated from greeting cards. I’m sorry, but nope. Such things are worth our notice every day of the week, but to call them miracles evaporates the strength of the word. Real miracles bother people, like strange sudden pains unknown in medical literature. It’s true: They rebut every rule all we good citizens take comfort in. Lazarus obeying orders and climbing up out of the grave–now there’s a miracle, and you can bet it upset a lot of folks who were standing around at the time. When a person dies, the earth is generally unwilling to cough him back up. A miracle contradicts the will of earth. The fact is, the miracles that sometimes flowed from my father’s fingertips had few witnesses but me. Yes, enough people saw enough strange things that Dad became the subject of a kind of misspoken folklore in our town, but most ignored the miracles as they ignored Dad himself. I believe I was preserved, through those twelve airless minutes, in order to be a witness, and as a witness, let me say that a miracle is no cute thing but more like the swing of a sword. We and the world, my children, will always be at war. 1. As the novel begins – indeed, as the very life of this novel’s narrator begins – a miracle happens. Describe it. How does it happen? Who accomplishes it? Begin your discussion of this book by recounting the major and minor miracles that occur throughout. 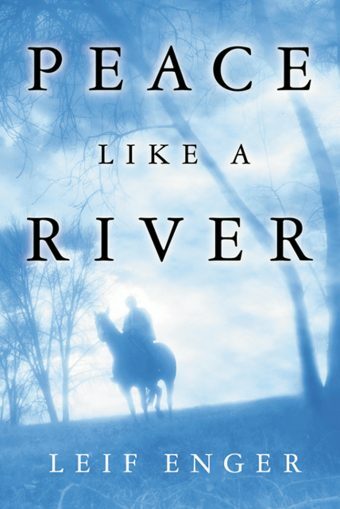 What role do they play in Peace Like a River? 2. Born with a severe case of asthma, Reuben Land, our young hero and narrator, must often struggle to bring air into his lungs. Throughout the book, Reuben is preoccupied with his own breathing, and the act of breathing functions in this story as a metaphor for life itself. How does Reuben cope with his ailment, and how is his character influenced by it? Provide instances where breathing takes on special meaning in the narrative. 3. Consider the details of the double homicide committed by Davy, Reuben’s older brother. Does Reuben see Davy as a murderer, or as one who acted in self-defense? Does he want Davy brought to justice, or does he think justice has already been served? What about the other main characters: how do they feel? And what about you, the reader? How was your impression of Davy – and of this novel – influenced by his actions? Discuss how the novel explores the idea of loyalty. 4. Peace Like a River is set mainly in rural Minnesota and the Badlands of North Dakota during the early 1960s. Like early American pioneers, or perhaps like mythic heroes, the Lands set out to rescue one of their own amidst the beauty and cruelty of the natural world. How does the Land family contend with this raw, uncivilized, and sometimes brutal landscape? Identify events or circumstances in which the novel’s setting contributes to its elemental or mythic quality. 5. Swede, Reuben’s imaginative, prolific, and precocious younger sister, creates an epic poem about a cowboy named Sunny Sundown. Talk about Sunny’s ongoing saga as an ironic commentary on Reuben’s larger narrative. What are the parallels? 6. Besides the Sunny Sundown text, several other outlaw tales, literary allusions, biblical legends, and historical asides are offered – by Swede or by Reuben himself. Identify a few of these stories-within-the-story, explaining how each enriches or influences the main narrative. 7. Discuss the character of Jeremiah Land, Reuben’s father”and the center of his moral compass. What are Jeremiah’s strengths, as a person and a parent? Does he have any weaknesses? Why did his wife leave him, all those years ago? And why does he “heal” the grotesque employer who fires him (p. 80)? 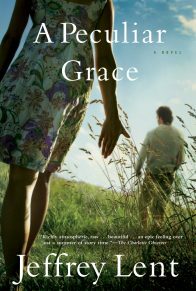 Explain how the novel’s dual themes of familial love and ardent faith are met in this character. 8. Both during Davy’s trial and after his escape from prison, we encounter a variety of public viewpoints on what Reuben’s brother has done. Such viewpoints, usually presented as personal letters or newspaper editorials, are always steadfast yet often contradictory. What does Reuben seem to realize about the so-called “court of public opinion,” in light of these viewpoints? 9. Prayer is described in many ways, and on many occasions, in Peace Like a River. Reading this book, did you discover anything about the activity of, reasons for, or consequences of prayer? What larger points – about religion and human nature, say – might the author be making with his varied depictions of people at prayer? For instance, when remembering a prayer he said that included blessings for even his enemies, Reuben comments thus regarding Jape Waltzer: “Later I would wish I’d spent more time on him particularly” (p. 285). Why does Reuben feel this way? What power does he recognize in his own prayers? Discuss the impact prayer has on Reuben, and how it transforms him. 10. Recovering from a near-fatal asthmatic collapse, Reuben muses: “The infirm wait always, and know it” (p. 290). Given Reuben’s physical condition, and given what we know about his ancestry and the story at hand, what is Reuben “waiting” for? How is his waiting resolved? Can this analogy be applied to any of the other characters? 11. The final miracle in Peace Like a River occurs, of course, when Jeremiah surrenders his life for Reuben. But why, at an earlier point in the story, does Reuben observe, “Since arriving at [Roxanna’s] house, we’d had no miracles whatever” (p. 257). Discuss the truth and falsehood of this remark. How might Roxanna herself be seen as a miracle? 12. What does the character of Roxanna bring to the Land family? What does she provide that the Lands had lacked before her arrival? Over the course of the novel, Reuben’s attitude and his physical descriptions of Roxanna change. In what ways does it change, do you think Roxanna’s attitudes toward the Lands as a family and Jeremiah as a person undergo a similar metamorphosis? 13. In “Be Jubilant, My Feet,” the next-to-last chapter, Reuben and Jeremiah enter a world beyond this one. “Here in the orchard,” our hero recalls, “I had a glimmer of origin: Adam, I thought” (p. 301). Where exactly are Reuben and his father? What happens to them? How have these crucial events been foreshadowed, and how are they new or unprecedented? 14. 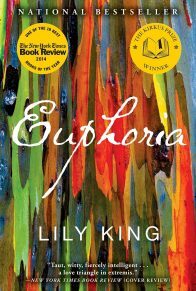 Much of this novel concerns the inner life of childhood: imagination, storytelling, chores, play, and school life. Discuss the author’s portrayal of childhood. Do the children depicted here seem realistic? Why or why not? 15. Remembering his own childhood, author Leif Enger recently noted: “I grew up squinting from the backseat at gently rolling hills and true flatlands, where you could top a rise and see a tractor raising dust three miles away. So much world and sky is visible, it’s hard to put much stock in your own influence.” Does this type of relationship between the individual and the natural world appear in Peace Like a River? If so, where? Identify key passages or scenes where the characters seem inferior to the landscape, or even at the mercy of it. 16. Finishing his story, Reuben notes: “You should know that Jape Waltzer proved as uncatchable as Swede’s own Valdez” (p. 309). What do the characters of Jape and Valdez represent in this novel? Conclude your discussion by comparing and contrasting Peace Like a River with the traditional morality play”the symbolic drama (dating back to medieval times) based on the eternal struggle between Good and Evil. The Sky, The Stars, The Wilderness by Rick Bass; Wilderness by Richard Ford; Cold Mountain by Charles Frazier; Legends of the Fall by Jim Harrison; Plainsong by Kent Haruf; The Nick Adams Stories by Ernest Hemingway; Lake Wobegon Days and Leaving Home by Garrison Keillor; Animal Dreams and The Poisonwood Bible by Barbara Kingsolver; To Kill a Mockingbird by Harper Lee; So Long, See You Tomorrow by William Maxwell; The Border Trilogy by Cormac McCarthy; Memories of a Catholic Girlhood by Mary McCarthy; Angela’s Ashes by Frank McCourt; Dakota by Kathleen Norris; and Adventures of Huckleberry Finn by Mark Twain. 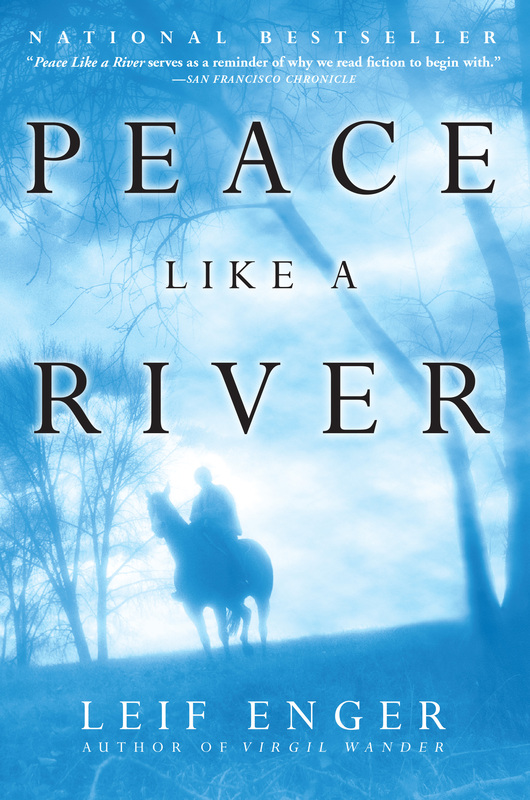 Conducted by Mark LaFramboise, of Politics & Prose Bookstore, Washington D.C.
Q: Booksellers I know have been raving about PEACE LIKE A RIVER for a while now. 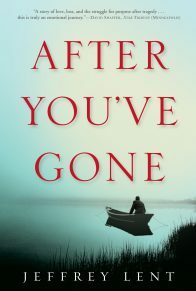 Now that you know how well the book is being received, how is the inevitable prepublication waiting affecting your life? Are you about to burst, or maybe even a little frightened? A: I’m a little anxious; when you’ve put so much work into a novel, and been backed so generously by your publisher, naturally you hope it doesn’t disappoint. But the waiting’s been relaxed and pleasant. Robin, my wife, and I home educate the boys and I’ve been able to take a bigger role in that. Our youngest is building a canoe — I’m there to cut the tricky angles. We’ve camped lately in Minnesota’s Boundary Waters and also the Teton and Bighorn ranges of Wyoming, and now we’re painting the farmhouse and hanging some wallpaper. Grove/Atlantic introduced me to a number of booksellers over the summer, which was enormous fun, but until the past few weeks publication has seemed like something sweet and far-off and hazy. It’s exciting, now, to have things coming into focus — to be thinking of the book tour, and seeing new places. Q: This isn’t your first book. What was your earlier experience in writing and publishing? A: Back in the 80s my brother Lin, then at the Iowa Writer’s Workshop, wrote to me suggesting we have some fun and collaborate on a crime novel – he had a character in mind, an ex-major-league ballplayer living reclusively in the north woods. We sketched out the plot on note cards, one card per chapter, and sent each other chapters through the mail. We ended up publishing five books with Pocket and Simon & Schuster. They were widely ignored, but we had a great time — we’d get together, rub our hands over sinister plots, and then pitch batting practice to each other until dark. Lin’s the better hitter, and also taught me most of what I know about writing fiction. Q: How do you think your role as husband and father affected the telling of PEACE LIKE A RIVER? Are there insights into character that you couldn’t have gained any other way? A: Robin and the boys were the book’s first audience. I read them almost every scene in first draft, and usually based my rewriting on their responses. Kids have a dead-on instinct for what makes a good story (outlaws on horseback, hidden treasure, secret caves, dynamite) and Robin, who would rather praise than criticize, was always brave enough to recognize when I’d gotten off track or written needless pages. Also, without my own family it’s doubtful I could’ve written convincingly of Jeremiah’s relationship with his children, or with Roxanna. What father hasn’t wished he could take a child’s pain on himself?” Who knows better than a husband what’s gained by courtship, or lost when courtship ends? Q: Setting is so important in this novel. The family’s name, Land, even suggests this. Are there certain personal characteristics that you think arise from the upper Midwest, from Minnesota in particular? A: Acceptance, probably. Perseverance. I grew up squinting from the backseat at gently rolling hills and true flatlands, where you could top a rise and see a tractor raising dust three miles away. So much world and sky is visible it’s hard to put much stock in your own influence — it’s a perfect landscape for cultivating gratitude. Q: Also, while the book is contained geographically within western Minnesota and the Dakotas, a variety of landscapes are described: the town, the country, and open road, and the nearly mystical place of snow and steam where the family occasionally gathers. Can you suggest any way(s) these different places inform the story, or the interior lives of its participants? A: It’s hard for me to fully picture a character without the ground he occupies, or his responses to new landscapes. When I was seven or eight we visited family in Montana, where my uncle showed us a lignite vein that had caught fire years before and was burning still. “The fire had worked so deeply into the ground flames were no longer visible and what we saw was a blackened cut through the badlands where heat shimmered out.” Though old enough to realize this was geography and not Hell itself I confess to many fearful imaginings involving underground trolls, anvils, and long-fingered hands that might snake out and grab a boy’s ankle. The coal-vein scene in the book is one of great hope, but at the same time the surface of Reuben’s confidence in the family’s quest is beginning to crack, and steam to issue forth. 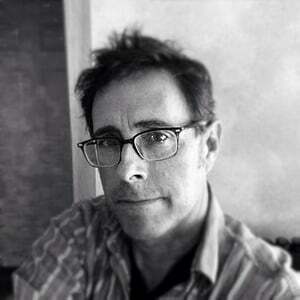 Q: Although the narrator tells the story in retrospect, we see the world through the eleven- year old eyes of Reuben. How were you able to capture the wonder, fears, and curiosity of such a young protagonist? A: First, my parents gave me the sort of childhood now rarely encountered. Summers were beautiful unorganized eternities where we wandered in the timber unencumbered by scoutmasters. We dressed in breechclouts and carried willow branch bows, and after supper Dad hit us fly balls. 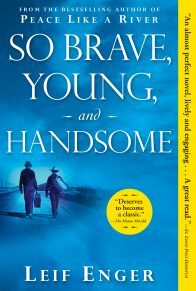 It was probably most idyllic for me as the youngest of four, since three worthy imaginations were out beating the ground in front of me “who knew what might jump up?” Now I see that same freedom in the lives of our two sons, whose interests cover the known map. It’s easy to witness the world through the eyes of a boy when you have two observant ones with you at all times. But the ruinous thing about growing up is that we stop creating mysteries where none exist, and worse, we usually try to deconstruct and deny the genuine mysteries that remain. We argue against God, against true romance, against loyalty and self-sacrifice. What allows Reuben to keep his youthful perspective is that he’s seen all these things in action — he is the beneficiary of his father’s faith. He is a witness of wonders. To forget them would be to deny they happened, and denying the truth is the beginning of death. Q: Reuben’s asthma figures prominently in the story. Unless you yourself are afflicted, how were you able to describe the condition with such detail? A: Our oldest son was gripped by severe childhood asthma when I started the novel — he was seven years old and working hard just to get his breath. Of course we’d have given anything for a gigantic, lung-clearing miracle, but since it didn’t happen the only course was to treat him medically the best we could, and try to comprehend his struggle. That wasn’t difficult because twice in my life, at 13 and again at 21,” I had isolated, terrifying asthmatic episodes — times when breathing was wrenching muscular effort and I didn’t dare go to sleep. But for me it never became chronic, and the good news is that our son just turned 14 and his asthma has diminished to the point where he rarely needs medicine. Teddy Roosevelt is much admired in this house, and we aspire to the strenuous life. Q: Reuben’s sister, Swede, is perhaps the most engaging character in the book and the only female in the motherless Land family. Her personality is so vibrant that she feels very real. Is she or anyone else in the story based on people you’ve known in your life? A: Swede is the potent mixture of several remarkable women, most notably my own sister, mother, and wife, who share the qualities of cleverness and brute honesty. This wasn’t intentional; Swede just stepped into an early scene and wouldn’t leave. The other characters are also composites of adventurers among my family and friends, of coworkers, of people met once and not forgotten. To lift someone whole from life and drop them into a novel would be difficult, and also impractical in a legal sense. Q: Swede has a penchant for epic poetry.” How does her poetic saga of Sunny Sundown relate to or parallel the family’s struggle after Davy’s trouble with the law? A: The poetry began simply because my son, who was four at the time, thought there should be a cowboy named Sunny Sundown in the book. But the verse quickly became useful both in foreshadowing coming events and in revealing Swede’s response to Davy’s actions. In any family there’s the real unfolding of life, and then there are the rewrites, the way each person tells himself what happened. Swede believes we all live epics, and I agree. A few heroic stanzas would do most families a lot of good. Q: Magic plays such a great role in this story. Is it important that we as readers believe the veracity of these events: e.g. the tornado, Jeremiah walking off a platform into space, Reuben’s journey to the beyond, to name a few, or just that Reuben believes? A: I hope even skeptical readers will enjoy the novel, but my own suspicion is that miracles, big obvious ones as well the more comfortable variety (kittens in springtime, Puckett’s homer in Game Six) are underway around us. I was raised to this belief and have as yet no proof that it is not so. Why lessen our joy by throwing out what the author of Hebrews called “the substance of things hoped for, the evidence of things not seen”?